Once upon a time the idea of flying to Poland for medical surgery would have conjured up nightmares of a one-eyed maniac stinking of vodka amputating your right leg... after you complained of an ingrowing toenail. But in today's open European climate tourists are no longer afraid of the great unknown that is Eastern Europe, and are discovering that they can in fact access highly professional medical services for a fraction of the cost that they could in Britain, Germany or Scandinavia for example. The rise in medical tourism in Poland can be pinned on several factors, such as Poland's accession to the EU, increased awareness of Poland as a tourist destination, the increasing number of budget airlines flying to Polish cities - from Britain in particular - and the disparity in cost between dental and cosmetic surgery price in Poland and more economically-developed countries. All of the above mean that many Europeans can fly to Poland, enjoy several days away in a stunning city like Wroclaw or Krakow and, even after they've paid for their surgery, still make a saving! With Polish surgeons and doctors enjoying an excellent international reputation, it's no wonder that so many people are opting for cosmetic surgery in Poland. Of course there are many arguments for and against cosmetic surgery, with some claiming that the dangers of undergoing unnecessary operations (which even in the hands of the most professional surgeons can never be 100% guaranteed to go smoothly) simply for the sake of vanity are not worth the risks. However there is an increasingly prevalent school of thought that argues that plastic and cosmetic surgery (or 'aesthetic surgery' as it is now often referred to) can seriously help in alleviating the emotional distress and raise the quality of life of those people who are unhappy with their appearance. Needless to say that plastic, cosmetic and dental surgery also can play a vital role in restoring the quality of life to victims of accidents and serious health defects. If you are thinking about going under the knife in Poland for crucial corrective surgery (...such as breast enhancement) then do your research and be sure to find a professional clinic. Below is the beginning of a list of companies offering cosmetic surgery where you might want to begin your search. As for the tourism part of 'medical tourism', then let us be your guide... from the finest hotels, to the most outstanding restaurants and nightclubs in Wroclaw, we've got plenty to recommend in this amazing city. I am interested in a tummy tuck. I have a consultation in England on January 12th but would like to compare prices. Have you find the good clinic in Poland. I am also looking for a review about Marta Wilczynska? Has anyone had a breast lift and implants done by Marta? Has anyone has the breast reduction/uplift with Marta Wilczynska? Hi, has anyone has breast reduction/uplift with Adam? Has anyone had lower eye bags operated on in poland. I can get an appt in june with adam . I am thinking of having a facelift with Dr Adam and have sent of for more information..But why is there not any answers to the questions put on here or photos of what people have had done?? Do you have any before and after pictures please? Hi I’m thinking of travelling to Poland for a tummy tuck, did you end up going and how was the whole experience? Are you happy with the results? Hi! Did you get the implants? Are you satisfied? I’d appreciate any info. I have just booked surgery with him. Could I possibly message you for further info! Hi Has anyone had surgery with dr Ahmed and ahow are yiu all getting information it woukd be greatly appreciated. Did you get it done with clinicforyou? I have just booked my surgery and would be interested in reviews? I've just come out of hospital here in the uk after a emergency trip to the ER Dr Piotr Rataj has damaged my nerves my breast tissue and my implant has ruptured leaving me with a nasty infection and disfigured breasts. I awoke during my op while still intubated the clinic has said thus is normal procedure even tho I've had many operations and thus has never ever happened before The clinic ignores my calls and messages they have blocked me from their social media sites. The clinic is a fraud the photos the have are not of the clinic at all. They quote you a price then double it. I was charged for a assistance package which should of been one of their drivers taking me to appointments helping with restaurants currency exchange and most importantly for me help with luggage this all costs £150 extra i was dumped in a taxi with a driver who didn't speak English my bags where dumped on the kerb i was left to struggle despite just having a operation. I could of paid for my own taxi and it would of cost less than £10. Hi I had been following dr Piotr Rataj and I was going to book a lipo with him because he is incredible reviews. But i am in shocked to hear that. Sorry for your bad experience. Could you please let me know about his clinic. Perhaps i will look somewhere else. Thanks for information it is vital we know this. HOpe you get sorted. Hi, I'm Dr Piotr's former patient, being there 3 times already and I can't believe this! Dr Piotr is a fantastic man with long years experience and I'm extremely happy with my results. I met lots of patients at the clinic from Uk and also other countries and I can't remember anybody disappointed. Please, join the surgeon's Facebook group and you may read real patients reviews and experience! Hi I'm thinking of having upper eyelid surgery in Poland can you give me details of good surgeon and advice on aftercate and price? Many thanks. Im 16 and i was wondering how old i have to be for a fat transfer? and also can i have it with parental consent? i have tried every thing i can think of and this is the last option. looking forward to hearing back, thank you. I'm looking for a reputable surgeon in Poland can anyone recommend one? I am really satisfied with my surgery done in Europe. I've undergone Facelift Surgery in Europe and its all worth it! If you will compare the cost I am definitely sure you will like it. it ranges from $ 2, 487 to $3, 592. I traveled alone when I had this surgery but my travel and meet up with the doctors was arranged by PlacidWay Medical Tourism which I am very thankful of. I'm thinking of going to Poland for surgery which isn't my main concern, the only worry is I'm planning on travelling alone.... Do they pick you up from airport is this legit? I went last November the clinic have a lovely English speaking taxi driver who will pick you up and drop you back to the airport. Hi please can you tell me, how you found the whole experience. Did you feel reassuring going to a strange country? Hi how did your rhinoplasty go? Hi, I am about to take a leap and undertake (potentially) surgery with Europe Surgery and Dr Adam. I actually spoke with 'David' who seemed efficient and polite enough. I wanted to hear from anyone who had surgery more recently. In particular, nose correction. How was the aftercare? How did the consultation go? The consultation is the most nerve racking part as i'm not sure if there is enough time to decide on what type of shape/corrections you would want prior to agreeing to surgery in the same day. Any advice/comments on this would be very much welcomed. Hi did u go and how was it ? its not a scam i thought the same ive been and had nose reshaped an breast enlargement im 23 and went alone and it was brilliant there was loads of other people there from england having or have had surgery so i wasnt too alone . hope this helps . Please, I'm just about to confirm the booking with Dr. Adam K at the NOA Clinic in Poland. I'm going to do a nose reshape. i'm very nervous already, I even thought it was just a scam in the net. Could anyone confirm that it isn't and what was the experience? I just need to confirm that is safe and i can trust it. Please e-mail me back. ASAP!!! Thank you very much. did you have your nose surgery and was it with Adam? Are you pleased with it? hi, i am booked to go to Adam in Wrowclaw for lipo and tummy tuck - i fly out next week! getting a little nervous would love someone whos had the same surgery done to give me a little run through of what happened!...anyone out there? Ben - I am the MD of Secret Surgery Ltd (a UK Company) I work with Dr Wojciech Waclawowicz after being a patient myself several times - I could work with any surgeon in the world but know, trust and believe 100% in his skills and ability. In both surgeons defence the cant just send you patients faces willy nilly as they would be in breach of confidentiality and also not many men ask for this type of procedure. In fact only 2 men have asked my company for a quote in the past 6 months.. Facelifts are the ultimate 'secret surgery' and still regarded as taboo so i think you'll struggle to see any before and after pics from surgeons. Best of luck in your search.. I have asked both Dr Adam and Dr Dr Waclawowicz for before and after photos of male facelift patients and they are unable to send me any. I haven't ruled either of them out as yet as possible surgeons but you would think having a good photo portfolio would be a fundamental requirement of any good surgeon. Written recommendations on this blog is a good thing but photos speak for themselves and as I understand from top American PS one should always see the surgeons handy work before signing-up. It's scary business trying to look good ..........perhaps I should just settle for a new hairstyle ha ha!!!! Why are all the comments here about this Dr. Adams? Is he the only C surgeon in Poland? I am thinking about Dr Grzesiak - has anyone heard anything about her? Although I am really wondering if these other comments arent fake and someone paid someone off! Just got back from Adam K in Poland. We had a fantastic time there meeting new people. I booked in by calling europesurgery and they helped sort everything out for me.Adam is a great surgeon even though its only been a few weeks my tummy tuck scar is healing very well and I am so pleased with the overall result.I would recommend him to anyone. what clinic is adam at? Medical Service from Wroclaw are definitely worth checking. Excellent service for the competitive price! Thank you so much. I am looking at a tummy tuck. How long did you stay in the hospital? How long in advance did you have to book the appointment with Dr. Adam? Adam did my upper eye lids last year & the lower ones last month and all I can say is that the experience was fast, friendly & professional. I reasearched him extensively before my first visit & wasnt one bit disappointed. It's normal to be nervous the first time and if I was having more serious surgery I would've taken his advice to bring a friend on the trip. I prob should've taken sun-glasses as folk tried in vain not to stare as I looked like a 6' panda at the airport. The lids heal fast within about 10 days. No scars can be seen & I look 10 yrs younger. Highly recommended. I am planning a face, neck et possible eye lift in March with Dr. Waclawowicz. Anyone have any input or information that will help me . irltrish@gmail.com. Most of the reviews I am seeing is for Adam K??? hi guys im wanting to have rhinoplasty and have come across europesurgery where dr Adam is established naturally i am very cautious and wary can anyone give me any feedback? Hello, I went to adam kalecinski clinic in wroclaw. I booked with europe surgery in the uk. The clinic is very modern and the staff there wonderful really put you at lease. hello everyone i had a hair transplant with dr saifi in wroclaw, and my wife went to adam. The clinic is fantastic. There is about 90 per cent english patients there!They help you sort out hotls and flight etc and make your stay easy..
Hi there! Just recently arrived back home from Wroclaw Poland.Dr Adam Kalecinski's first class clinic is a credit to his profession.He is not a butcher. His gift as a top surgeon is proven by the amount of satisfied clients who have passed through his practice.He has hand picked his dedicated staff who are excellent,really professional in everything they do and so very friendly. The star of the organisation is the lovely Magda the chief co-ordinator who will go out of her way to make sure that everyone is well catered for and nothing is too much trouble for her to attend to. It really has been a pleasure to have dealt with. In my own case, I am very happy with my facelift and nose surgery. Friends say I look ten years younger and I must say It has been worth it. My confidence has been boosted as I am very pleased with the outcome.When you consider that even with the flight, hotel and surgery costs, it is still very much cheaper than anywhere in the UK. I personally like value for my money I have worked hard for. FANTASTIC! just came back from having tummy tuck & lipo - received absolute 100% care from initial enquiry, booking, consultation & finally surgery & aftercare,cant thank Dr Adam & his team enough for all the care,reassurance & outcome!. spotless modern clinic, all facilities, absolutely A1 from me - incidentally, i went with my mother who had facelift, nose job & eyelid surgery, no problems there either!! thank you so much! I visited Euromeditravel clinic at the end on April 2010 for a full tummy tuck after losing 10 stone and the whole process from initial communication has been second to none! I was a little concerned by the possibility that i may have booked a date with some back street butcher but after contacting lots of other people who have been there and hearing their positive stories i felt a much more relaxed. My initial worries couldn't have been further from the reality - i would even say that it was superior to any private clinic in the UK. You have no reason to feel scared to travel alone as you are met at the Airport by Aga (lovely lady) and she takes you direct to the clinic where you're met with a warm welcome and a much needed cup of tea. you then meet the appropriate professionals and have all the pre-op checks and only after your final consulation with the surgeon (Dr W) will he proceed. There is no pressure to proceed at any stage and if Dr W feels that it's not right/ready for the proceedure you he won't operate. They really put your health before the cost of the operation. Dr W understands English but Aga always translates everything ensuring that you get every question answered. The hospital (more like a 5 star hotel) and is absolutely stunning and is the ultimate in mordern design and more importantly squeaky clean! The food is mostly breads, processed meats and conserved vegetables - Aga has discussed this with the Directors and she assures me that it's improving.. I booked to return at the end of May for a breast lift as my friends breast lift is the best i've seen! The surgeon Dr W. really is a perfectionist and master of his art - he will exceed your expectations... I have no hesitation in reccommending Euromeditravel to anyone. You really have nothing to be worried about!!! There isn't any language barriers due to Aga translating everything. I returned for my second procedure breat reduction and uplift at the end of May 2010 as planned and now have the body i dreamed of! Doctor W is a perfectionist and all the staff are so attentive. If anyone want to contact me seperately feel free weealia@yahoo.co.uk - i have lots of candid photos of the clinic. just got back from surgery with Adam kalecinski. I had a facelift and my friend had nose surgery. so pleased with the results! !Adam been a plastic surgeon for 15 years !! you can tell his experience when you talk to him and see his qualifications, he speaks fluent English. The other staff are very friendly. Most of the patients are british and i made good friends with people while i was there. I stayed in there appartment, very modern and nice. Anyway i look so much younger and i am so happy when i look in the mirror. Thankyou Adam you have given me a new start in life! Hello just wanted to say after this last post which i am sure everyone will ignore anyway! !That Adam kalecinski is a brillant cosmetic surgeon. He did my facelift last year and its excellent, and of cause it is a qualified plastic surgeon otherwise he would not be allowed to operate! you do get some nutters on the internet don't you! !The clinic is new clean and modern , the staff are nice and speak english.when i was there everyone was really happy. "Hi I went to Adam k's clinic in Wroclaw 2009 April to have nose job. Everything felt right from start to finish, Adan K'S answered all my question's was really nervous but soon felt at ease.I am so happy and very satisfied with the results. I cannot believe how quick it healed. 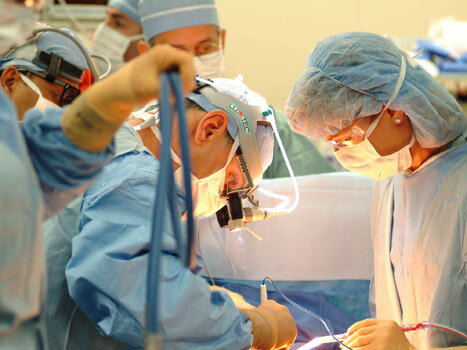 hope this will be of help to anyone considring surgery there." Can honestly say he is great. If you would like to ask question can e mail me.